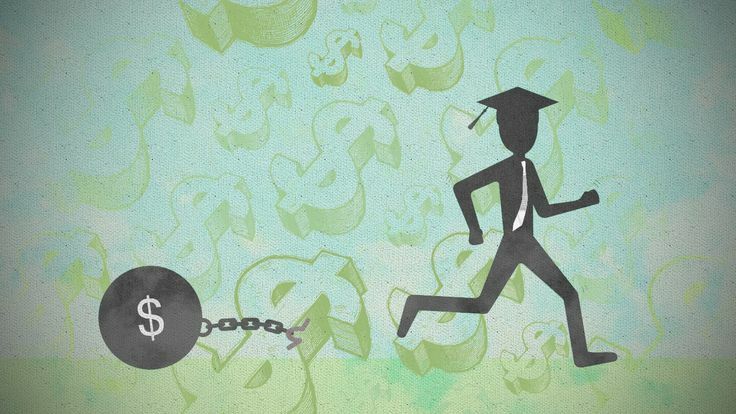 As college debt has broken the trillion dollar mark and tuition hikes have continued their thirty-year streak of outpacing inflation, approximately one third of former students are delinquent on their loans. Furthermore, the meteoric rise of technology seems to be changing the formula for success; online resources offer easy access to university-grade knowledge (not to mention, a lot of the technology facilitating these resources was conceived by college dropouts). Silicon Valley may be a comedy, but could Gregory’s mocking joke be indicative of a developing social truth? Have we arrived at the point of obsolescence of higher education? It’s hard not to be at least a little bit skeptical. The concept of a university isn’t unique to America, England, or even European cultural tradition. Institutions of higher learning have been culturally relevant in civilizations across the globe throughout history. Academic scholarship has been practiced since the days of ancient India, Mesopotamia, China, and Greece. I’d venture to say higher education is a cultural tradition of archetypal status. An archetype is an ideal which resonates across different cultures throughout human history. Psychologists hypothesize these cross-cultural motifs demonstrate a fundamental cognitive unity among our species. In other words, the similarities between different cultures and ideas are proof of our shared humanity. Different societies may express their culture in a variety of styles, but the cultural fabric is universal. The classic example of an archetype is the narrative. What do epic Greek poetry, Medieval literature, and HBO’s Sopranos all have in common? They’re all stories about psychologically defined characters who go on personal quests; they grow, change, and uncover social and moral truths on their journey. Oedipus Rex, Hamlet, and Tony Soprano share common personality traits and navigate similar moral dilemmas. This theory isn’t just academic conjecture: screenwriting legends swear by the unifying principles of storytelling and use the same methods as classical writers to create successful narratives that resonate with the audience. In fact, The Sopranos‘ creator, David Chase, openly admits that his inspiration for the first season is a retelling of Hamlet and that season one’s storyline makes frequent references to the psychological theory of Oedipus complex. The epic poem might be an outdated and culturally contingent way to tell a story, but is telling a story itself an outdated cultural activity? Archetypes live on in different forms. The modern day Oedipus is an Italian-American gangster. Similarly, a large lecture hall full of half-asleep students and a droning professor is becoming a thing of the past. Nevertheless, an institution which promotes cultural enrichment and social progress will always be relevant. The problem today isn’t the institution’s ideal, but rather that its structure doesn’t match the rate at which technology has changed the economy and society. What we need is reform. Our culture isn’t the first to have a university system, nor is it the first whose universities have required reform. The Humanism movement, championed by intellectual reformers, helped to bring about the social change necessary to end the Dark Ages and bring about the Enlightenment. The Humanist movement cannot be attributed to any single group of individuals or institutions. However, the actions of specific people like Erasmus do demonstrate successful strategies for social change. In Erasmus’ time, university education was only available to members of the monastic class. Theology defined early Medieval culture, so religious observance was the primary reason for pursuing higher education. Over time, religious observance grew increasingly dogmatic in an attempt to maintain its dominant influence on society. At the same time, increasing population size created economic problems such as famine and disease. Religious observance could neither explain nor alleviate these issues. Tension grew as culture could no longer represent an evolving society. Erasmus’ parents died when he was quite young, but he found shelter at a monastery. His guardians encouraged him to seek an education. Perhaps they saw potential in his young eyes, because Erasmus’ writing and thinking are absolutely tenacious displays of scholarship. He translated the New Testament and other religious documents, once written in the classical languages of Greek and Latin accessible only to the elite, into multiple vulgar Romance languages, increasing public access to religious knowledge. The education system Erasmus participated in was elitist and exclusive. Monasteries used their exclusive access to knowledge and their privileged ability to define culture through religious metaphors in order to exercise social control. The monastic elite used religious and educational institutions to mediate society By rediscovering classical Latin and Greek texts, Erasmus helped to redistribute theological texts to the public. Direct public access to their cultural fabric allowed them to remediate their own culture. The tension between an evolving society and a stagnant culture is a big part of the problem with higher education today. Mark Cuban, a highly successful investor, has begun speculating whether the value placed on a degree is a bubble because the degree doesn’t reflect teachings which are relevant to the modern economy. I think this theory is shortsighted. A person’s education and life experience is not a product whose price tag corresponds to market volatility. A person is a member of society whose value corresponds to economic opportunity and opportunity to grow. The problem today is the increasing number of students that the system is failing. In education, the concept of remedial learning means individualized, narrowly-cast lessons rather than broadcasting a concept to a large group. This is psychologically effective and helps the student contextualize what they learn in a way that feels relevant. Up until this point, remediation has held a social stigma. Slow students need to remediate, it is said. Remediation is a slower process, however, because it is an active method of learning which empowers the student to project their own life experience onto the lesson. Modern technology mechanisms promise more agency over learning methods and the ability to remediate education more easily and effectively. Rather than place higher education and technological innovation at odds, I think we should look to how the two can help to improve each other. Classical systems for education could meet new ways of structuring the world in order to remediate an historic archetype into a modernized context.